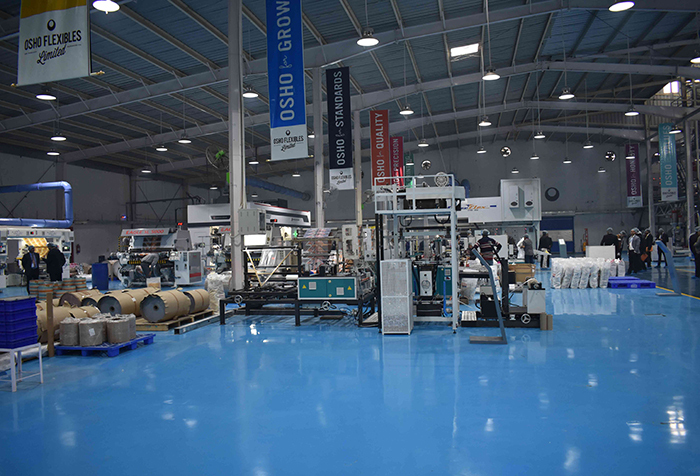 Roorkee-based Osho Flexibles organized an Open House on 7 and 8 February 2019 inviting various suppliers, manufacturers, brand owners as well as its competitors to see its new plant and the state-of-the-art equipment running on the work-floor. With printing samples available at the event, there were many questions from visitors about the various technologies on display and how it is possible to achieve the print quality on display. 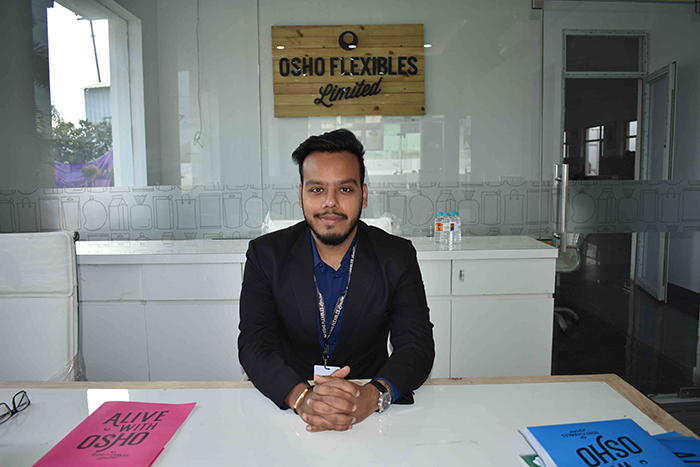 “It is such a privilege for us to be able to demonstrate our passion and innovation to people who can really benefit from it,” said Sagar Mehta, director of Osho Flexibles. 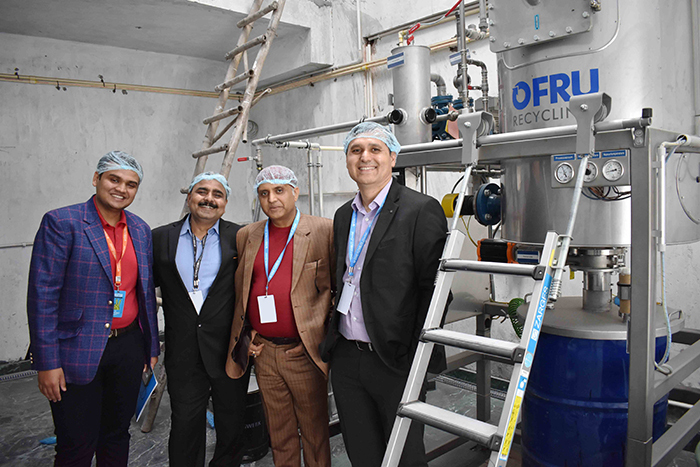 Osho Flexibles has made significant investment in its new flexible packaging plant which started commercial production about a few months ago. 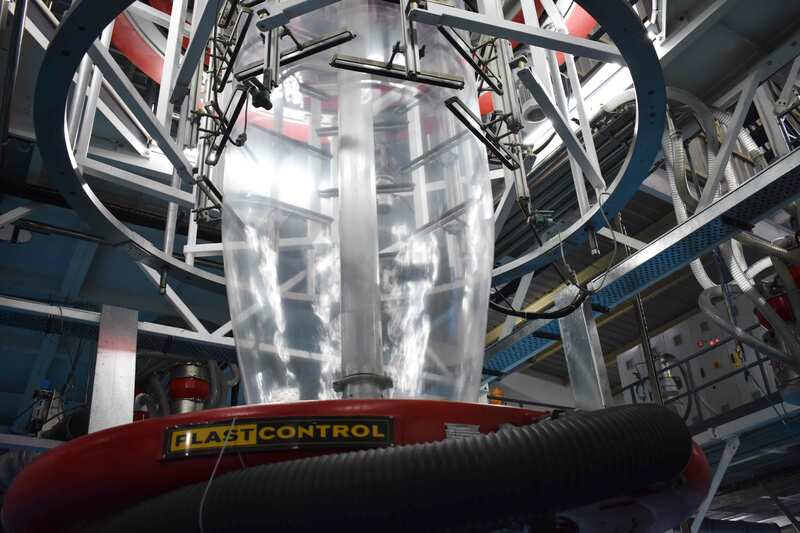 Of the more than a dozen equipment and machines installed at the plant, the two blown film lines from Rajoo Engineers and the two CI flexo presses from W&H, and Carraro attracted great attention from the visitors. Another blown film line from Rajoo was under installation when we visited the plant. The Open House attendees also got a chance to witness live demonstrations of a host of other machines installed at the plant including center-seal pouch making machines from XL Plastics, Simplex SL solvent-less laminator from Nordmeccanica and print inspection machines. The new plant also has a recycling plant from Ofru. At speeds up to 400 meters per minute, the 8-color 1.3 meters wide Miraflex A at Osho Flexibles is one of the most advanced CI flexo presses in the world. “The press has a lot of features which will help us achieve outstanding performance and also create huge opportunities with a lot of perennial savings. The complete automation system in the press is integrated on a single panel. This creates a huge convenience and you can manage the quality much better,” said Mehta. 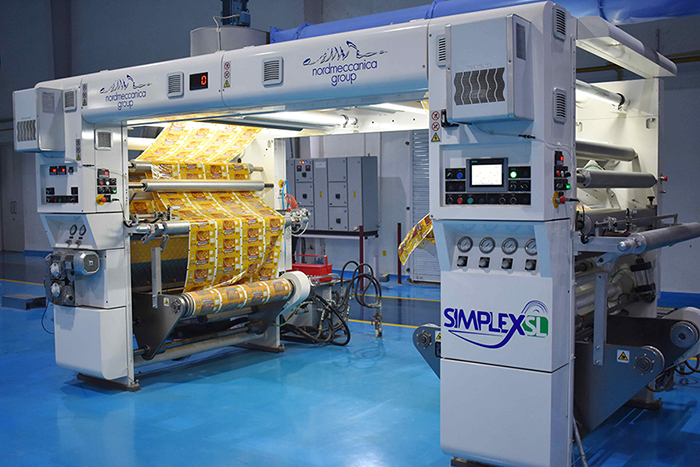 Sahni shared that another CI flexo press installation is currently going on at a company in North India. 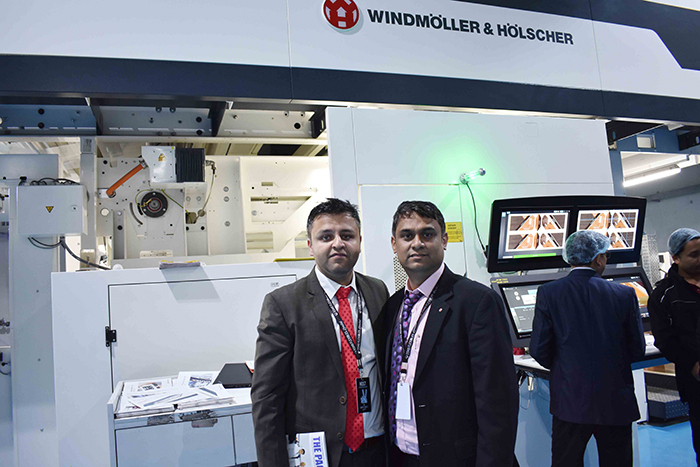 Of late, W&H has installed its machines in many companies including Vijay Neha Polymers in Hyderabad, Balaji Multiflex in Rajkot, Global Polybags in Madhurai and Jayshree Propack in Ahmedabad. Osho’s Open House offered visitors a taste of what’s new in the Indian market. 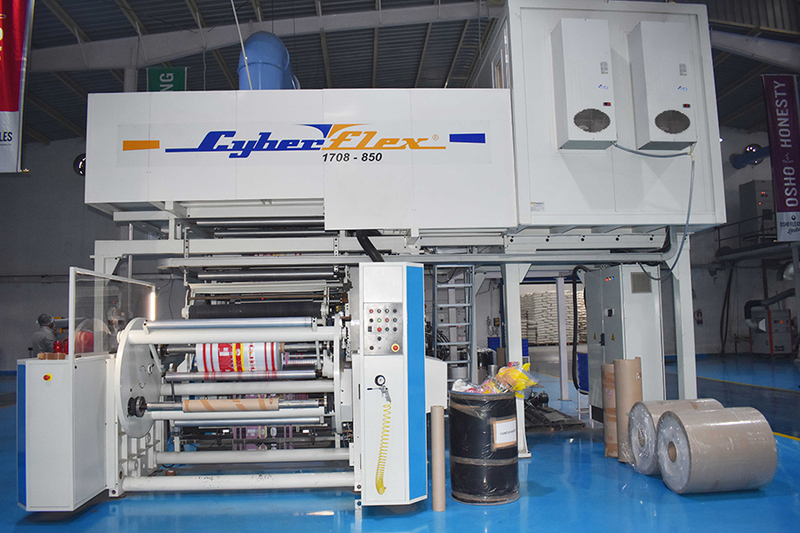 The Cyberflex 1708-850 at Osho Flexibles is Carraro’s first CI flexo press in India. Installed and sold by Manugraph, the 1.3 meter wide press can run at speeds up to 350 meters per minute. The machine is imported from Italy. It may be recalled that Manugraph entered into a strategic alliance with Italy-based Carraro last year to commence the manufacturing of Carraro CI flexo press in India at Manugraph’s state-of-the-art manufacturing facility in Kolhapur. The core of the collaboration is technology transfer by Carraro to build high-quality CI flexo presses in India. 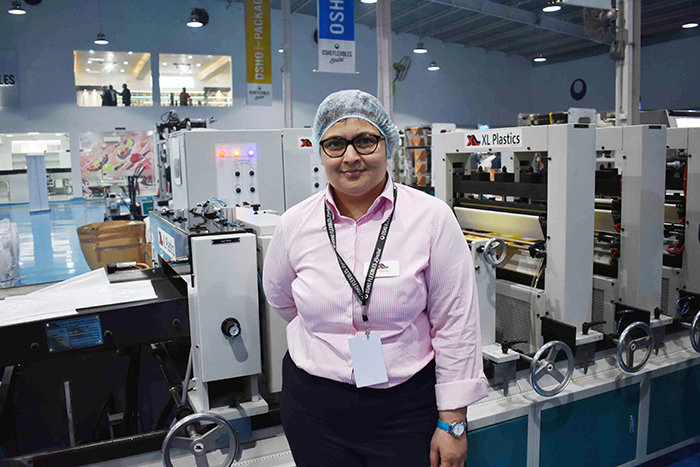 After the alliance, Manugraph provides both India- and Italy-made CI flexo presses to customers. Attendees were also able to see live demonstrations of XL Plastics’ center seal pouch making machine. “The center seal pouch making machine is designed specially for LDPE and recyclable material. The beauty of the machine is that you can make poly-to-poly pouches. The final pouches are very strong and pass the drop test too. The machine can produce around 120 pouches per minute,” said Mehta. To have absolute cost control and have direct access to the films that they need, Osho produces its own films. For this, the company has installed a 3-layer and a 7-layer blown film lines from Rajoo Engineers. These lines have a production capacity of 600 and 350 kilogram films an hour respectively. There is yet another 3-layer line under installation which has a production capacity of about 275 kilograms an hour. The commercial production on the third line can start anytime soon as the company is just waiting for the approval to start the power connection. “These machines are fully loaded machines with full automation features. The machines come with gravimetric blending dosing and thickness control systems. However, the absolute beauty of these machines is their die technology which has an excellent gauze variation,” said Mehta. All blown film lines are power-backed by UPS systems. 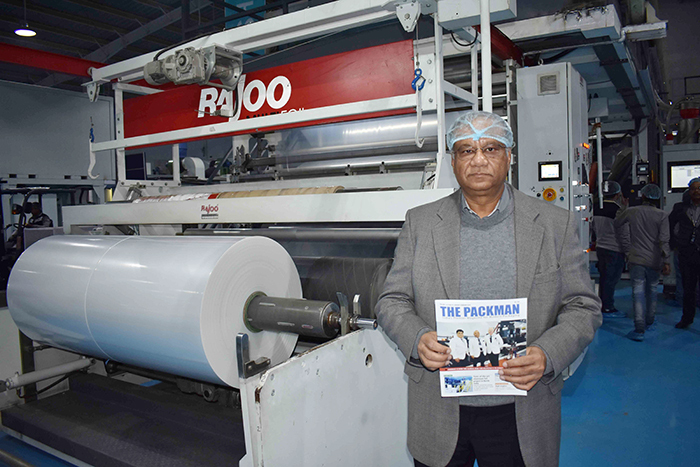 Recently, Rajoo sold a 3-layer blown film line to Constantia Creative Polypack, Pondicherry.